Arthritis is an inflammation of joints. Osteoarthritis (OA) is divided into stages. The highest stage, 4, is assigned to severe OA. OA that has become this advanced is likely causing significant pain and disruption to joint movement. 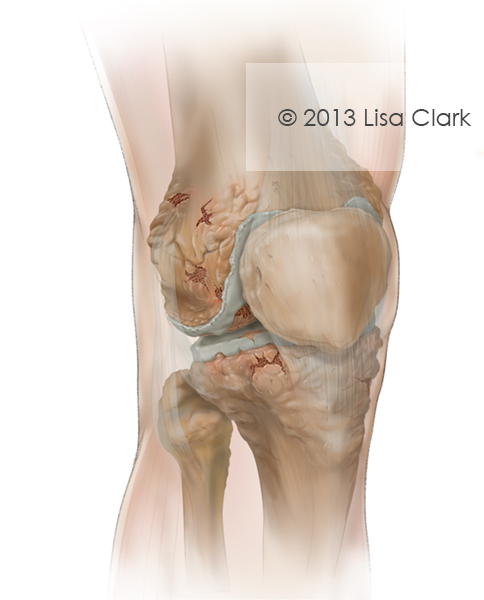 The post Severe Osteoarthritis of the Knee appeared first on Clark Medical Illustration.